It is one year on from the launch of our online 1-2-1 Chat service, designed to support children and young people who are away from home or thinking of leaving. As well as the 24/7 helpline, young people can speak directly to a helpline supervisor on the Runaway Helpline website, between 2:30 and 9pm. Eloise, our Children and Young People Coordinator, reflects on a conversation she had this year. A young girl recently got in touch with us via 1-2-1 Chat. It was an incredibly brave and honest step for herself. She has been a victim of child sexual exploitation for 6 years, since the age of 12, and recently managed to leave the man who had been grooming her. She explained that their relationship was also violent. 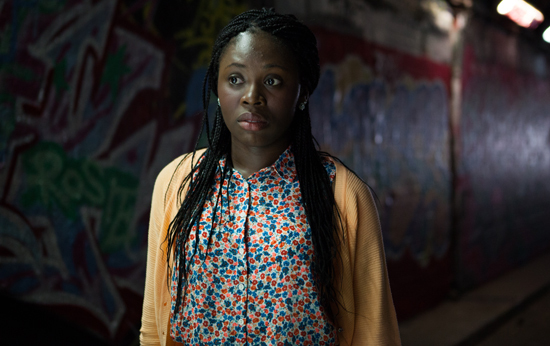 During our chat, she opened up about family conflicts at home, as well as her struggle with online abuse. She told us that she did, at one stage, have somebody in her life that she trusted and was able to talk to but they tragically passed away so she has been feeling alone ever since. It was flooring and inspiring to hear how much she had gone through, particularly at her young age, so it felt important to be there for her, to support and listen understand. We talked about her situation and the different obstacles she was facing, via 1-2-1 chat for almost 2 hours. During this time time, we tried to ignite that empowerment which she felt she had lost a long time ago. I recently discovered that she has contacted us again, and that she has now asked us to support her in disclosing the abuse to the police. She told us that the conversations had made her feel safe, and more confident in making this decision. We're so pleased that our 1-2-1 Chat service served as a stepping stone in this vulnerable girl's journey and we hope that this will be a new chapter in her life. Having an open confidential space to take her time and explore her options empowered her mentally to take next steps for herself. Throughout the last year, we have carried out over 1,000 online chats, and received many more calls, texts and emails from young people needing our help. 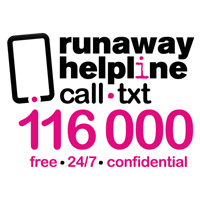 If you're under 18 and you're thinking about running away from home, are already away, or have recently returned and you need advice, contact our Runaway Helpline team.